Does Jared Kushner Even Know Anything About the Countries He’s Supposed to Be Doing Diplomacy With? Amy Wilentz on the most trusted man in the Trump White House. Amy Wilentz, a long-time contributing editor at The Nation, was Jerusalem correspondent for The New Yorker. She’s the author of several award-winning books, most recently Farewell Fred Voodoo: A Letter from Haiti. The interview has been edited and condensed. Jon Wiener: Jared Kushner, the most trusted man in the Trump White House, has been on page one of the Los Angeles Times recently. One story was headlined, “Nations feel cut off from the Trump White House.” What was that about? JW: According to this LA Times article, the Saudis went even farther than using Jared as their communications link to Trump. AW: The Saudi king skipped over the crown prince who was supposed to be his successor, and instead named another prince, Mohammed bin Salman. He is a 30-year-old. After the 2016 election, he and Jared apparently became friendly—sharing dinners, exchanging phone calls. The two of them worked together to help plan Trump’s visit to Riyadh—you may remember when Trump bowed before the Saudi king and accepted that medal of honor. JW:—was picked because he knows Jared Kushner. AW: But keep this in mind: No one knows whether this new crown prince will be crown prince if one day Trump is no longer president. Saudi royals can make special succession plans that we don’t know about. JW: Recently, the LA Times ran a page-one piece headlined, “Jersey City has turned sharply against Jared Kushner.” What was that about? AW: A great story. The Kushners have been busy developing Jersey City, taking over empty railroad yards and old waste-dumping sites, as well as expensive downtown lots, and building luxury high-rises and upper-middle-income housing. But the thing to remember is, Jersey City, traditionally a Democratic Party bastion, is not exactly pro-Trump. Only 14 per cent voted for him there in November, and no one there is too happy with Trump’s claim that he watched the people of Jersey City dance in the streets as the Twin Towers crumbled. So anyway, according to Barbara Demick in the Los Angeles Times, his father-in-law’s bad name is causing a bunch of problems for Jared and his family’s projects in the town, especially for the modestly named $250 million, 53-story Trump Bay Street project and the $800 million One Journal Square high-rise and compound. In their struggle to find financing for both of these, the Kushners have turned to mid-level foreign investors. 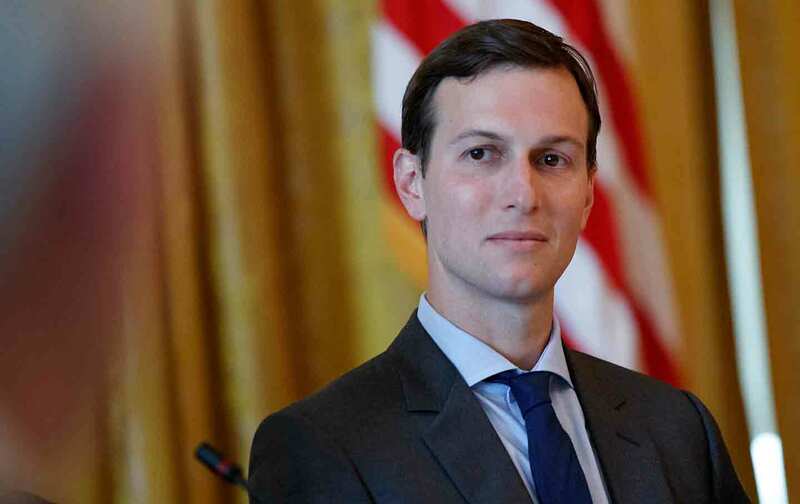 Jared’s sister was recently in Beijing shilling EB-5 visas in exchange for foreign investments in the family’s Jersey City projects, going so far as to actually drop her brother’s father-in-law’s name to the assembled targets at the Beijing Ritz-Carlton meeting. What’s really ironic is that the EB-5 visa was intended as an incentive for investments in economically depressed areas, which most of the Kushner Jersey City projects are not in. And local activists have been protesting about all of this. Meanwhile Jersey City’s mayor, a friend of Jared’s who is up for a tough election in November against another Democrat, has withdrawn his support for tax abatement for the One Journal Square project. Maybe Jared’s marriage to Ivanka Trump, and the big, grandiose, Pharaonic, Manhattanesque ideas that that has spawned, will be his undoing. His family used to make its billions from more decentralized, down-home development projects scattered around lower-rent, un-glam districts all over Jersey and in Maryland. AW: The Kushners have bought 20,000 units of low-income housing, mostly around Baltimore. And one of their methods for dealing with their low-income tenants is legal harassment. The Kushner Companies have brought something like 548 lawsuits against tenants—a level of landlord aggression that is highly unusual. And these holdings are part of what makes money for the Kushner Companies—it’s not just their big pieces of Manhattan real estate. JW: One last thing: If you google “Jared” and “Russia,” you get about 12 million results. JW: A lot of these Google results are reports about Jared’s meeting with Putin representatives asking for a secret communications back channel, perhaps at a Russian diplomatic facility. Why would you need a secret back channel using Russian communications? AW: The only reason you would need a secret Russian back channel, if you’re an American diplomat or official, is to keep secrets from the Americans; from the American intelligence establishment. And that’s extremely disturbing. Listen to more interviews like this one on the Start Making Sense podcast.